Without question, the Industrial Injection crew has become a force to be reckoned with over the past several years. 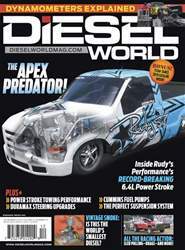 With Shawn Baca’s 2,500-hp Master Shredder, the Demaxed Silverado driven by Jared Delekta, and having a hand in the success of various other sled pullers and drag racers across the country, the I.I. team is definitely firing on all cylinders right now. Most recently, the Industrial nameplate laid claim to a handful of first-place finishes at Weekend on the Edge in Salt Lake City. In the dirt, Industrial trucks would finish out front in Pro Mod Diesel, King of the Diesel, Pro Stock and Open Street, while also taking top honors in the Pro Street drag race category.